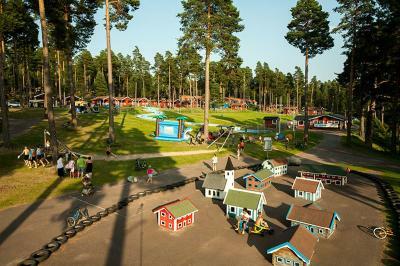 Lock in a great price for Leksand Strand Camping och Resort – rated 8.5 by recent guests! 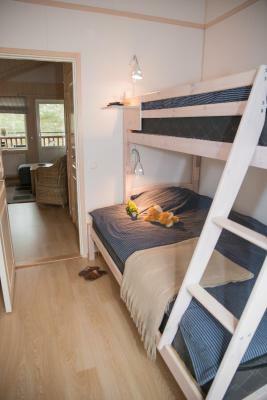 The camping was big and provided a wide range of activities. 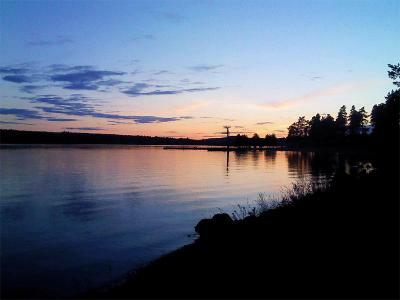 The area was beautiful with many nearby (by car) traditional or historical Swedish attractions. Närheten till Tegera Arena, men tyvärr så orkade LIF vinna igen....... mot Mora! Trevligt möblerat. Vill också ha sådana korgstolar. Enkelt att checka in och ut. Tittade på Sveriges bästa hockey lag, Leksands IF. Det är så vackert i Leksand och kommer tillbaka var så säkra. Fin stuga, stor och rymlig. 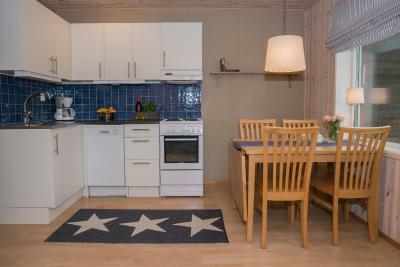 Eftersom ingen skulle ha stugan efter oss, behövde vi inte checka ut senast kl 11. Fin utsikt, ok sängar.Bra parkering bredvid stugan. Fräscht och nytt, bra och riklig utrustning. Wi-fi. 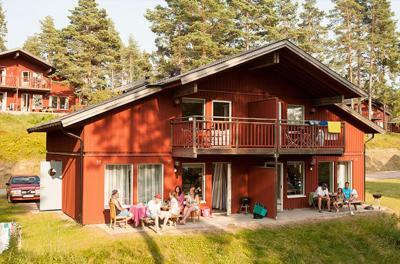 Stora fönster. 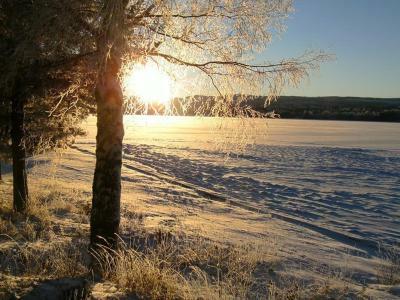 Mysig altan. Grill. Läget vid vattnet är fantastiskt, kommer åka dit igen med resten av familjen. 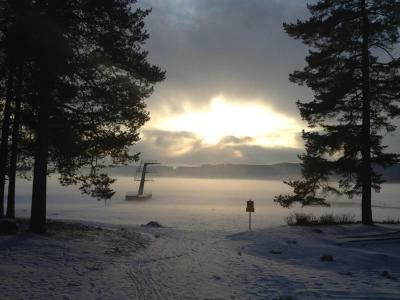 Nu var bara frun och jag där för att cykla Siljan runt. Bra receptionsservice som svarar snabbt och vänligt på mail. Svåra att nå på telefon dock. Men det finns en jourtelefon tydligen. Die einmalig schöne Lage und der Blick auf den Siljansee. Das hat uns für Vieles entschädigt. 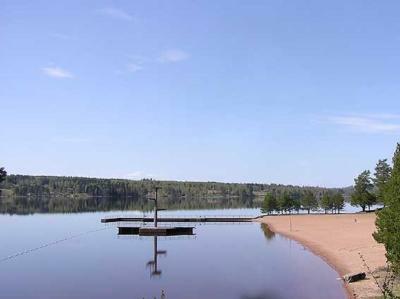 Leksand Strand Camping och Resort This rating is a reflection of how the property compares to the industry standard when it comes to price, facilities and services available. It's based on a self-evaluation by the property. Use this rating to help choose your stay! 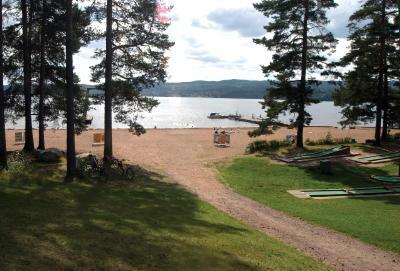 Leksand Strand Camping och Resort lies on the southern point of Lake Siljan, about 1.2 mi from Leksand city center. Tällberg is 6.2 mi away. 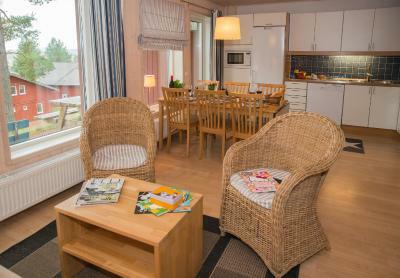 All cottages at the family-friendly Leksand Strand Camping och Resort have a TV, patio and private bathroom facilities. Some are fully detached, while others are semi-detached. 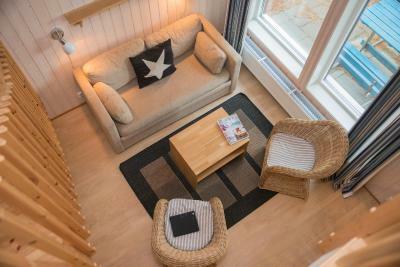 Leisure options include swimming, crazy golf and fishing. 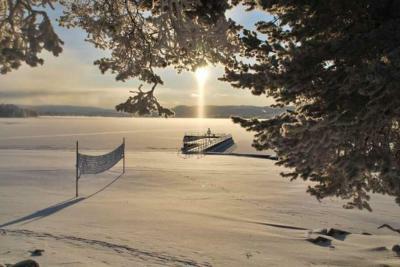 Skiing is a popular activity in the winter. 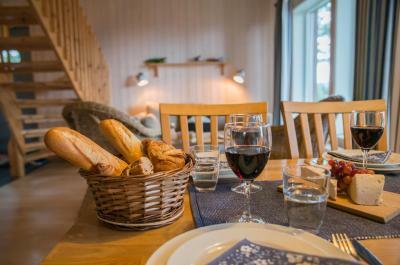 The summertime on-site restaurant serves an à la carte menu with a selection of light home-cooked dishes, as well as coffee and cakes. 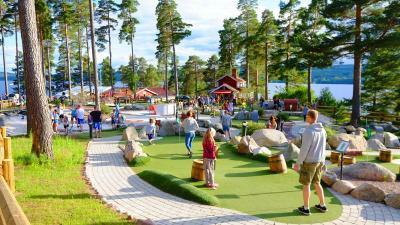 Leksand Summer Theme Park is located next to the camping site, while Leksand Golf Club is a 12-minute drive away. 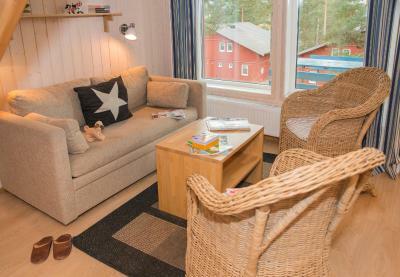 When would you like to stay at Leksand Strand Camping och Resort? 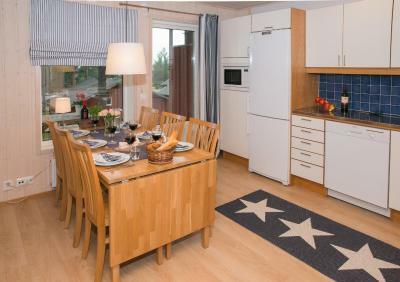 Modern cottage with a balcony and well-equipped kitchen. 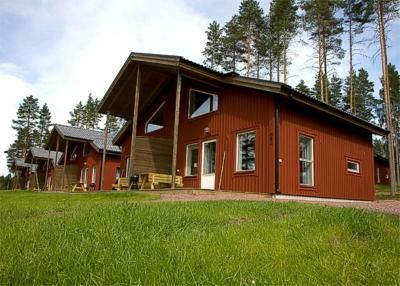 This holiday home features a stovetop, private entrance and kitchen. 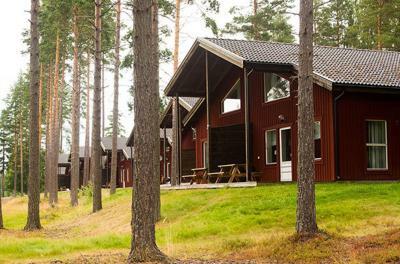 House Rules Leksand Strand Camping och Resort takes special requests – add in the next step! 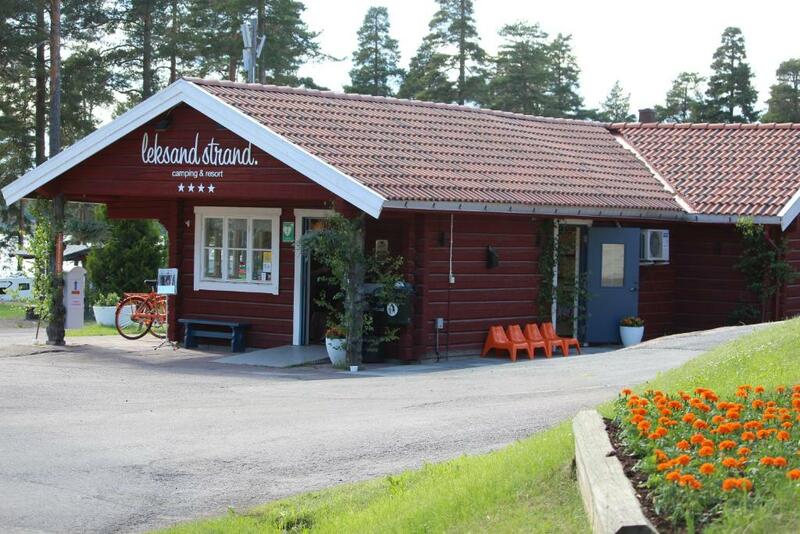 Leksand Strand Camping och Resort accepts these cards and reserves the right to temporarily hold an amount prior to arrival. A deposit via bank wire is required to secure your reservation. 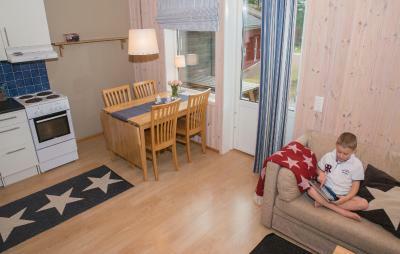 After booking, you will receive payment instructions from Leksand Strand Camping och Resort via email. The quality of the cleanliness of the accommodation was questionable.